Built For Performance... Our unique floor plate design gives shops with minimal overhead space, even with ceilings as low as 10', plenty of room to add this hard working lift to your shop. A rugged lift built for Performance. Ben Pearson's Baymaster 9FP . The 9FP could easily be described as our most versatile lift. Lifting taller vehicles or vans is easy. In fact, many shops use this lift regardless of their ceiling restrictions. 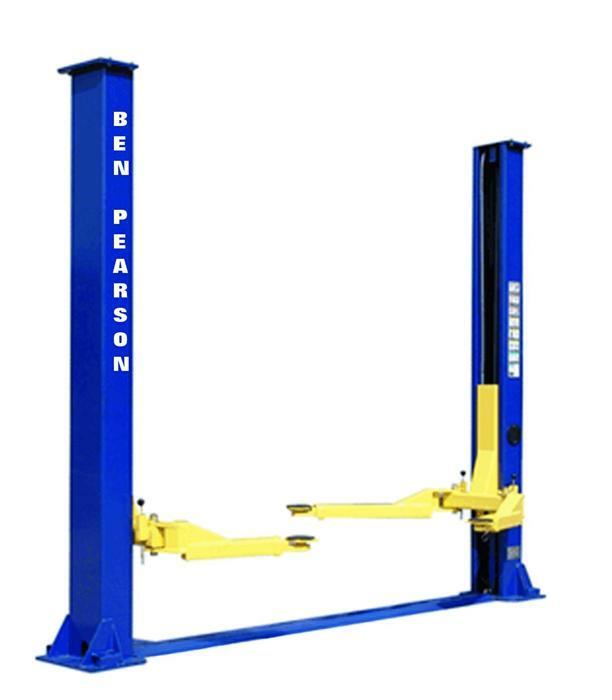 Plus, the rugged chain lifting system and the convenient stack pad system, will add the perfect lift for any shop.